It started with smiles smudged with sooty paste. Then, there were the (satisfying/horrific) videos of people extracting blackheads with pitch-black, peel-off masks. Activated charcoal is all over social media and drugstore aisles right now, turning up in supplements, beverages, dental products, soaps, deodorants, shampoos, and more. What gives? 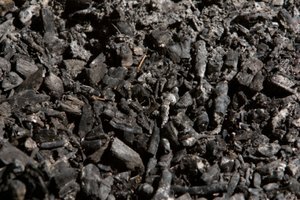 Charcoal may seem new and trendy, but its first recorded use dates all the way back to 1550 B.C. 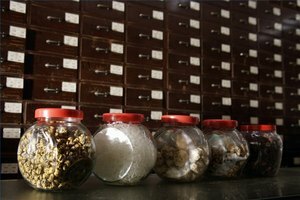 Ancient physicians used it to treat intestinal disorders, absorb unpleasant wound odors, purify water, and treat conditions like epilepsy and vertigo. Today, activated charcoal is sometimes used as an emergency antidote for poisoning or overdoses, and many claim a host of other benefits for heart health, digestive health, and anti-aging. “Taking activated coconut charcoal on a daily basis is a great way to help you thrive in an overly toxin-filled environment,” says biohacker Dave Asprey on his Bulletproof blog. This is the super-simplified version, but this fine, odorless, tasteless, jet-black powder works by trapping unwanted toxins and chemicals so they can be flushed out and therefore not reabsorbed by the body. That’s why it’s been touted as a detoxifying wonder substance for everything from acne and hangovers to gas and bloating. Can capsules of charred wood or coconut shells really do all that? 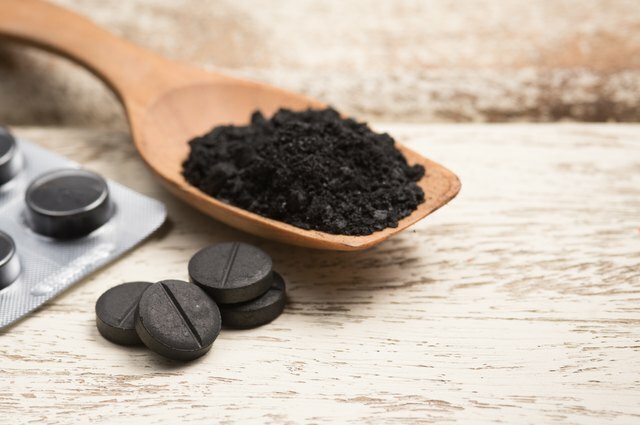 According to Medical News Today, “Its toxin-absorbing properties have a wide range of medicinal and cosmetic uses, though none are scientifically proven.” The good news is that while there hasn’t been a whole lot of research done on activated charcoal (yet), completed studies show that the fairly inert ingredient has few side effects and is unlikely to cause irritation or allergic reactions. 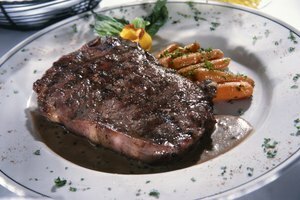 However, there are definitely some things to be aware of before you start popping any charcoal pills. Activated charcoal can also interfere with your prescriptions, making them less effective. It’s important not to take activated charcoal within two hours of your meds, as it can prevent needed medicines (including antidepressants and birth control) from being absorbed by your body. (Yikes.) If you take Nalmefene, Naltrexone, or Safinamide, the Mayo Clinic advises that you skip activated charcoal altogether. 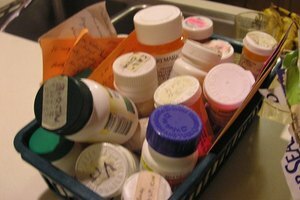 They also provide a list of over 60 other prescription drugs that may pose potential adverse reactions. Check them out. When consumed regularly, activated charcoal can slow down your bowels, causing nausea or constipation. To avoid this, you'll need to drink a lot (12-16 glasses) of water every day. You may also need to add a magnesium supplement to your repertoire to keep things moving. On a somewhat darker note, activated charcoal will cause your stools to turn black. So there’s that. There are tons of activated charcoal products on the market right now, so it’s important to know your source. Whether you choose charcoal tablets, capsules, or bulk powder, opt for those made from (organic) coconut shells, bamboo, or identified natural wood species. Also, check the list of ingredients for artificial sweeteners such as sorbitol. These are sometimes added to make activated charcoal more palatable, but if you’re trying to rid your body of chemicals, that kind of defeats the purpose. Is activated charcoal all it's charred up to be? It depends on whom you ask. You know what's coming next: Before adding activated charcoal tablets or any supplement to your wellness routine, it’s always a good idea to consult your doctor.